Marshall County, Tennessee is an area that prides itself on Southern Charm. Founded in 1836, it is an area of people that value a sense of community. 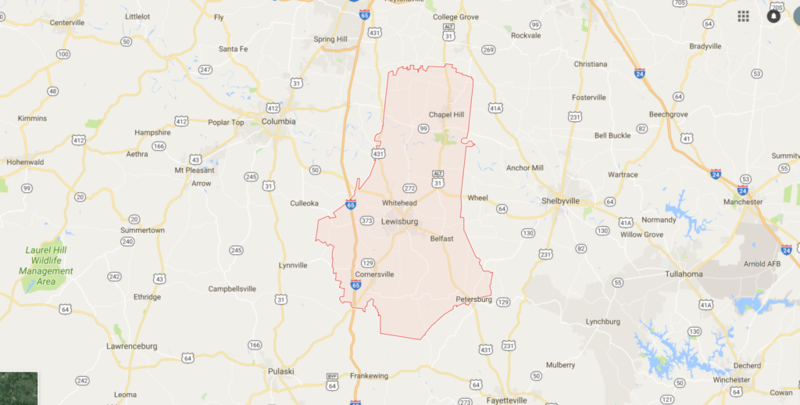 The charm of Marshall County and the fact that Tennessee does not tax retirement income, has attracted new residents to the region over the last several years, and the population is projected to grow steadily through 2030. Given the growth of the area and the age of the potable water system in Marshall County, officials needed a plan to handle increased demand and maintain costs. The weather in the South is quite different than anywhere else in the country. The average relative humidity in Marshall County in mid-afternoon is 57% and rises to 84% by the dawn hours. The weather can change on a dime, and massive temperature swings, severe, fast-moving storms; and even hail can be extremely rough on water tanks. Add to that the fact that The Marshall County Board of Public Utilities tank is located in a wooded area, and conditions are rife not only for storm damage, but for mold and mildew, as well. The county required a high-capacity, high-performance tank that could withstand the forces of mother nature without requiring constant maintenance. Given the external conditions, concrete was not a logical solution due to its propensity for leaks and steel tanks corrode in such humid, moist conditions. Marshall County is a growing area, and the ideal water storage solution would be able to expand as more people and businesses moved into the area, and to accommodate the Utility’s plan to expand service delivery to rural residents, as well. The Marshall County Board of Public Utilities clearly required tanks that can hold up well against the elements. Aquastore tanks were the ideal solution, as their patented glass-fused-to-steel process makes them airtight and extremely durable against the elements, resists mold and mildew, and requires little maintenance throughout the life of the tank. The County worked with Southeastern Tank to install Aquastore solutions as they embarked on an ambitious plan to install nearly 70 miles of new lines, upgrade existing lines and update a pumping station. 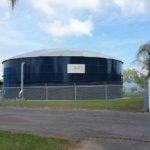 A new 300,000 elevated storage tank was installed, replacing a 20-year-old, 110,000 ground storage tank. 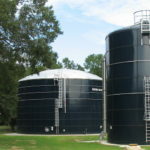 Aquastore tanks are also able to accommodate the County’s need for fast and streamlined installation. 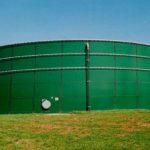 Glass-fused-to-steel tanks can be erected much more quickly than other types of tanks. They utilize a jacking system during construction, eliminating the need for scaffolding. 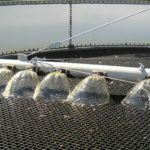 Once installed, the Aquastore tanks have a long lifespan, providing long-term savings and low lifetime ownership costs. They are low-maintenance and high-performance, never need repainting and should Marshall County require even more capacity, their existing tanks can be expanded vertically. Overall, County officials estimate that over the last 25 years, the county has saved $100,000 on maintenance alone. The County did experience a rare leak in one of their tanks a few years ago. Southeastern stands behind their workmanship and the Aquastore products they sell, and they know that a small leak can spell big trouble down the line. Therefore, Southeastern Tank was willing and able to address the problem immediately, at no charge. Since the early 1980s The Marshall County Board of Public Utilities has turned to Aquastore to help them service the needs of their residents. 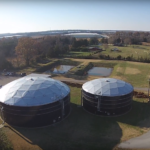 Today, Aquastore tanks provide the county with 555,619 gallons of capacity for over 31,000 residents. They currently operate three Aquastore tanks of various ages. One is 4 years old, the second is 16 years old and the third is 36 years old. Officials have reported they have a hard time telling them apart, since the oldest tank still retains is functionality and its appearance.